Miniature Pyramids Found at Trinity! 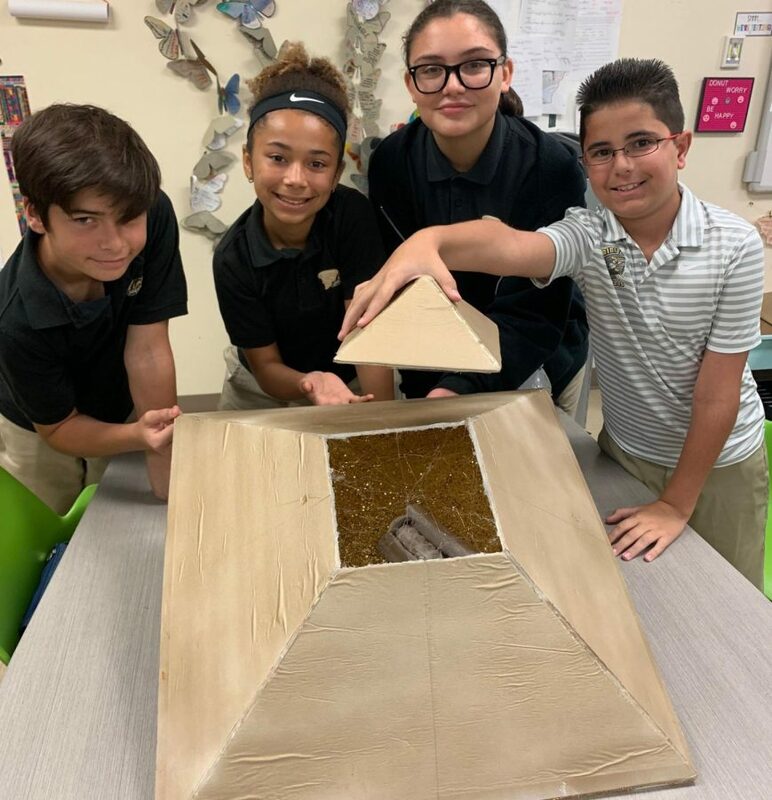 Ms. Saran’s 6th grade CORE class has been studying 3D structures and built their own pyramids. They used their knowledge of math and social studies to create these pyramids. It was a fun way for students to bring their learning to life and showcase their creativity!